Asphalt shingles are currently the most popular type of residential roofing material for a variety of reasons. They are relatively inexpensive. Things that determine the cost of roof shingles include the geographical location, the slope of the roof, the height of the building, the ease of access to the premises, the complexity of the project, the particular type of shingle (Architectural, 3-Tab, and designer shingles) and numerous other factors. Asphalt roofing shingles come in a variety of colors and styles, are highly durable to natural elements of weather and can be easily maintained and repaired. We can help you choose the right type of asphalt shingle to install for your home or business, and we have plenty of options available. Glass fiber shingles have a glass fiber reinforcing mat manufactured to the shape of the shingle. This mat is then coated with asphalt which contains mineral fillers. The glass fiber mat is not waterproof by itself. Its purpose is for reinforcement. What makes the glass fiber shingle waterproof is the asphalt. However, the asphalt itself will not stick to the mat. For this reason, “fillers” are used. The fillers in the asphalt cling to the glass fibers in the mat. The asphalt then encapsulates the glass fibers, fills all of the little holes and voids in the mat, rendering it waterproof. After this cools a bit, an adhesive asphalt is used to cover the mat and the ceramic granules are then embedded. Asphalt shingles come in two basic types: glass fiber (a.k.a. fiber glass) and organic. Organic shingles consist of an organic felt material, which is generally paper saturated with asphalt to make it waterproof. A top coating of adhesive asphalt is then applied, and the ceramic granules are then embedded. Organic shingles have not lived up to their name and have become obsolete in the market. Organics became popular in the late 80s and early 90s; however, their popularity is diminishing due to their inability to resist the natural environment. Many customers have seen their organic shingles fail prematurely (approximately 5-12 years after installation) with signs of cracking and brittleness. For this reason, Adept Construction does not promote the use of organic shingles and instead recommends the use of fiberglass shingles. Architectural shingles are considered high-end asphalt shingles due to their quality and distinctive textured look. Architectural shingles are also known as three-dimensional shingles or laminate shingles. Architectural shingles were introduced to the home construction market in the 1970s in the continued effort to produce an asphalt shingle product that had the higher end quality look of slate or cedar wood shake shingles, without the negatives of breakage, insect damage or weight. 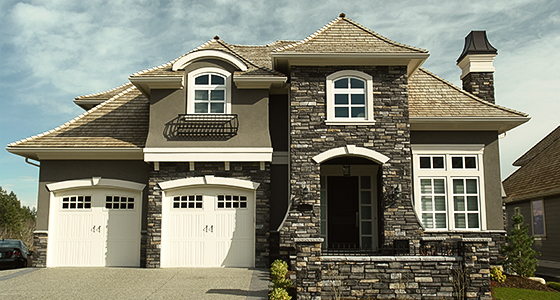 Architectural asphalt shingles have a unique visual appearance. Instead of a running row pattern that is observed with three-tab shingles, architectural shingles have a cedar-shake-texture appearance that give a more dramatic look to a home. Architectural shingles are also excellent for hiding roof imperfections due to their textured look. Many home builders prefer to use them today due to this benefit alone. In addition, from some builders’ perspectives, architectural shingles are also easier to install than three-tab roof shingles. 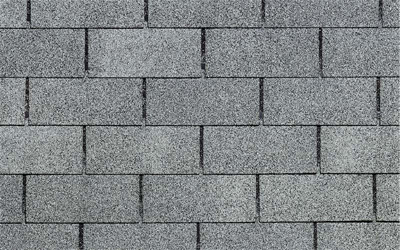 Three-tab asphalt shingles have set the stage over time for specialty architectural composition shingles. The latter are easier to lay, thus, saving on installation time, effort and cost. Although three-tab asphalt shingles are somewhat cheaper than the architectural composite ones, the latter are vastly growing in popularity for residential roofing and pushing the former out of the market. 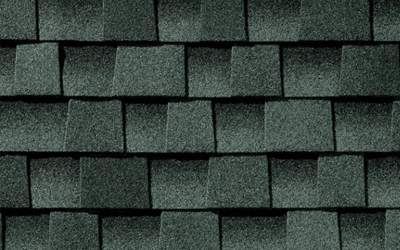 Since they are still in use, three-tab asphalt shingles are offered in a variety of colors to satisfy practically any style preference. 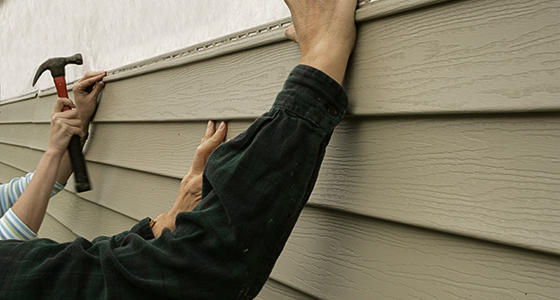 They are also economical when it comes to repairing asphalt shingles or an overall re-roofing job. 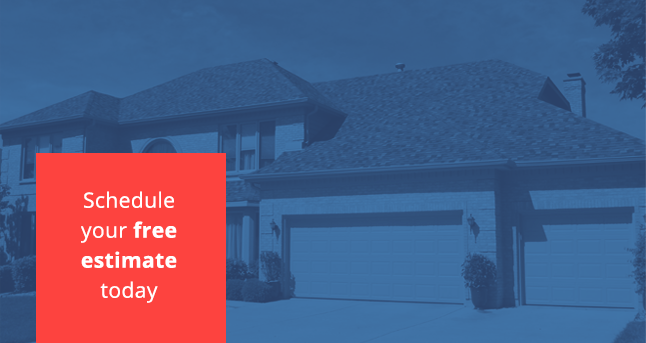 Although the choice of roof shingles is a composite of style, budget and time, to name a few factors, it is not as common to find homeowners who choose three-tab asphalt shingles. They generally are less attractive and do not last for very long, possibly affecting the resale value of the home. At Adept Construction, you’ll find plenty of options in roofing to give your home or business the look you want. Our roofing contractors are ready to service you today, with some of the best roofing materials and services available anywhere. You’ll see a difference with our architectural shingle installations that will give you a completed roof that provides your building with an appealing look and improved weather resistance. With every roofing systems job we complete, we aim to make sure that our customers get the final results that meet their expectations. Whatever your needs, Adept Construction can help you choose the perfect asphalt shingle roofing, along with other types of roofing. 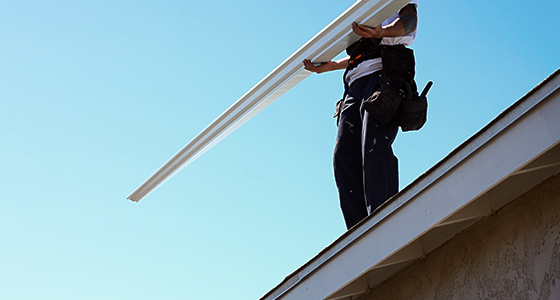 Our roofing contractors will help you find exactly what you need.